I hope you like this card I made for a colleague who share my birthday on Friday, 4th of December. 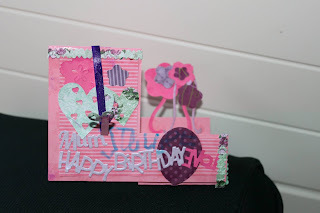 I used the Sizzix Framelits Balloons Step Card by Stephanie Barnard for the basic card shape and embellishments and the Robert Addams Papercrafts All Occasions Upper and Lower Case Alphabet Bundle for her name. 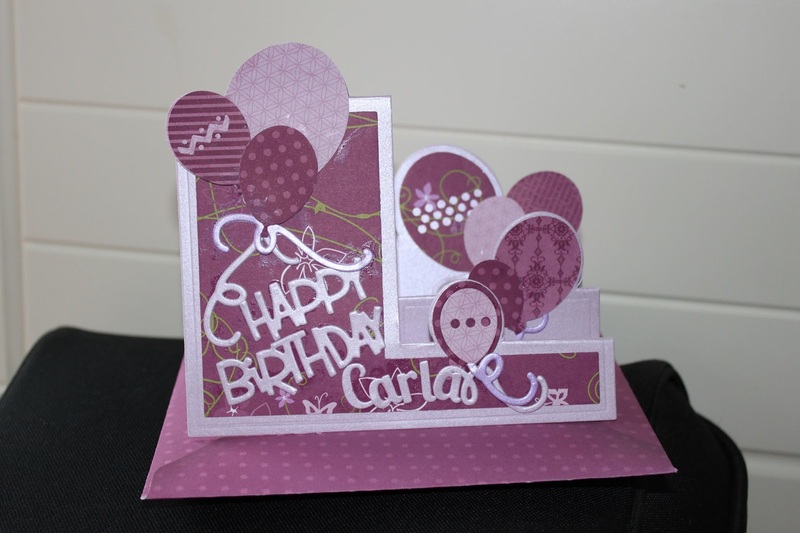 The designer paper is from an old Stampin Up paper pack and I used Centura Pearl card to cut the base and words as it is a sturdy card at 300gsm. 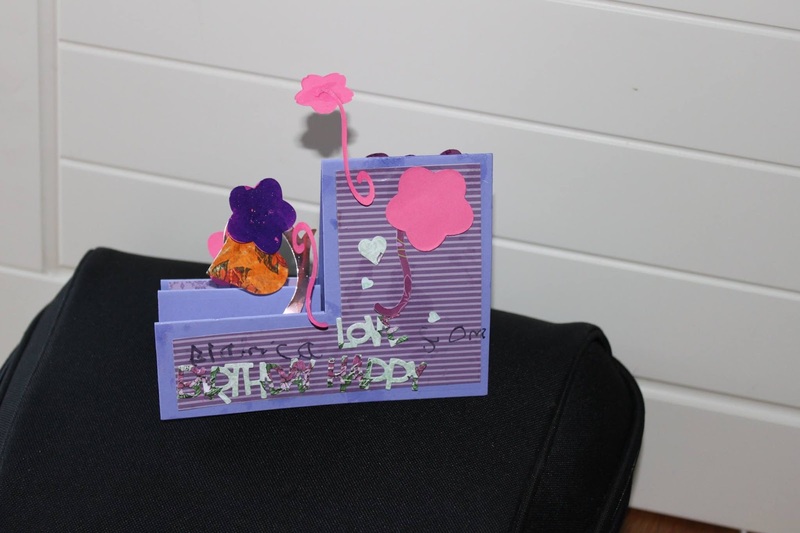 I also used my We R Memory Envelope Punch Board and We R Memory Envelope Notcher to make an matching envelope. I feel happy with the result and hopefully she will like it as well. Below is the card my two girls made for me using some more Sizzix Framelits.